For all my friends in the northern hemisphere, here’s a wee burst of Aussie sun for you. Just finished. Lots of light, lots of grass, regrowth bush and a path to walk down. 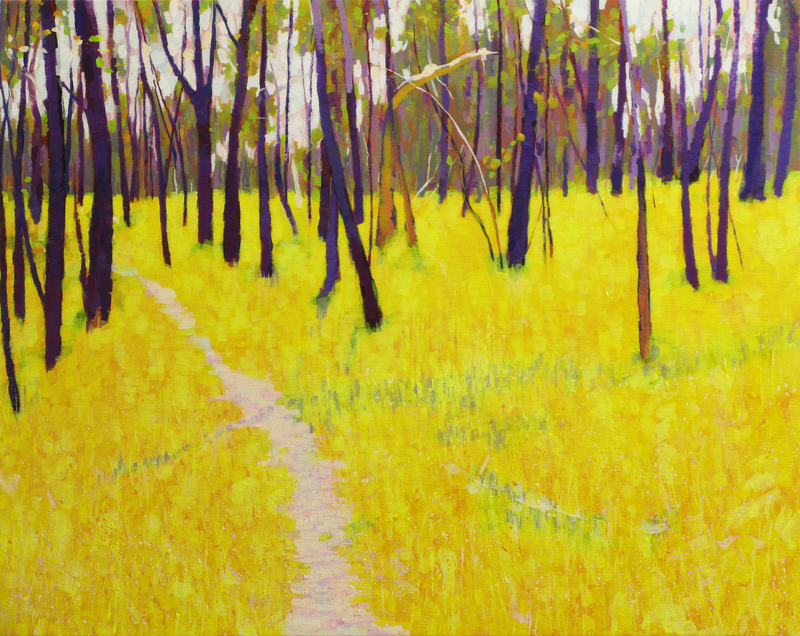 It’s one of the images in my upcoming show paintings of walking which will be held in an old weatherboard school building deep in the Victorian bush. Smart city gallery? Not really my cup of tea. Peaceful and vibrant- all at once. I love this painting! The feel of summer in the middle of our dark, rainy winter, well, it’s something to look forward to. Your paintings are so beautiful Lars. I love this one. Have a Merry Christmas and a prosperous New Year. Thank you Maria. May the new year bring many lovely art discoveries to you. Good luck with the exhib, Lars! I like this painting. Thanks Jo. Trying put a show together during the holiday season is proving… tricky!